Work as a Caregiver or CNA with Nu Care! We are currently looking for compassionate, caring and dependable caregivers who are interested in making a difference by providing in-home, non-medical care to the elderly. Many of our caregivers are active seniors themselves who develop long-term, satisfying relationships with our clients. You should have some experience caring for an older person. Certification is not necessary — we provide training. We also welcome CNAs who can assist clients with transfers and personal care and CMTs to help with medication management. 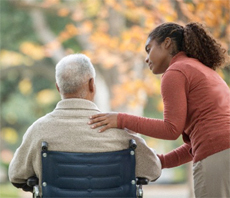 We are seeking caregivers who are warm, compassionate and love working with the elderly. You must be caring and patient. The hours are flexible and can be part-time or full-time. You do not need to be experienced or licensed. We supply the training. We provide an exclusive training program and offer full or part- time positions with flexible schedules.